We know that planning a wedding is stressful, and that there are a lot of places to start. It can pretty overwhelming pretty quick, and before you know it, you're a few weeks out and you're wondering if you're missing something. We're sharing some tips and tricks today that we use for planning and keeping our clients on track of making sure all the details are taken care of! First, prioritize what is important to you and your future spouse. Whether it's an important date, a special venue, or wanting to make sure that your guests have an experience, ensuring that you have your top two or three must haves spelled out from the very beginning is key to staying on top of wedding planning. After you make your priority list, talk about budget. Talking money is always difficult, but giving yourself a range to stay within rather than a set amount (for example, staying between $25,000 and $30,000 versus a must have at $27,000) will not only give you wiggle room as needed, but it also gives you the ability to splurge and save in other areas. 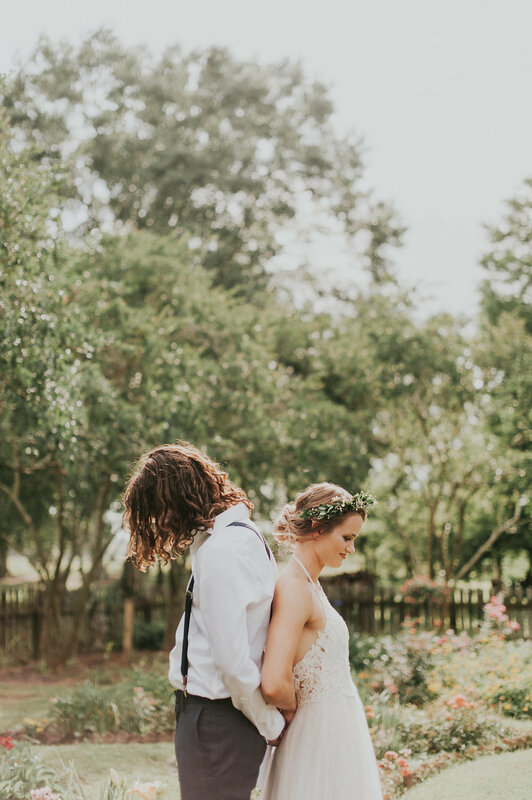 While you're setting a budget, don't be afraid to ask who is contributing to the wedding fund; again, it can be hard and awkward, but if you're honest and upfront from the beginning about what you both want your day to be like and what you would like the budget to divided up by, it will save you pain, stress, and heartache in the long run. Another way you can save yourself from missing anything is getting yourself a planner. I would love to say "That's right, me! ", but I'm humble enough to recognize that there's nothing quite like having a reminder set to your phone or having it handwritten in an agenda to make sure everything is complete and done. I love this one from Southern Weddings, and this one from Erin Condren. If you're not feeling like having binders and guides and papers everywhere (which is me, I can't handle having all the important things not in one place), I again recommend Erin Condren Life Planner, Day Designer (which you can find at Target), or a simple pocket planner that you can pick up at any Walmart, Target, or office supply store. Want something more complete and in detail (a checklist, perhaps?)? Check out the wedding planning timeline we use for our brides over here at Poppy Lane Events, handcrafted for you to keep on track, streamline the planning process, and ensure you don't forget a thing. What is your favorite tool for staying on task? Did you find it easier to have everything digital, or handwritten reminders? Did setting goals throughout the process help you? We'd love to know!